Rick Riordan, most famous for his Percy Jackson book series, has a lot of great books under his belt, so to speak. He pulled out two amazing series' of the Percy Jackson books, one covering Greek gods and one covering Roman gods. He then tackled the Egyptian gods with his Kane Chronicles books. His newest series covers Norse mythology and is equally good as the others were. He also does books in which he shows the gods and heroes that he writes about. He calls himself The Myth Master and I can see why! One of the things I love best about Rick Riordan is his ability to gently cover world issues in a way that you don't even realise that you have been taught until you look back at the book and think for a while (more about this in the Magnus Chase books). I also particularly love the way he researches the various mythologies in great depth. This comes out strongly in his writing, Jess and I often go to check the actual canon mythologies to see if his writing is completely representative of the stories from the time and so often it corresponds exactly. So far one of the ones we haven't been able to corroborate is Loki being referred to as the King of Evil, but given poetic licence we can totally relate to where he is coming from. 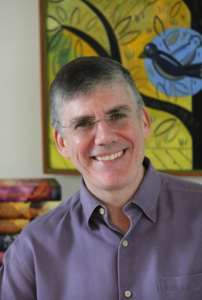 You can visit Rick Riordan's website here which give all kinds of information about him including his bio. Below is the book list for Rick Riordan and we will get reviews up as quickly as we can for each book. Please note, we will need to read some of these again to be able to do a good review for each so don't worry if the book you are reading is not reviewed yet. We will be reading them and reviewing them as quickly as we can get hold of them. Percy Jackson and the Titan's Curse. Percy Jackson and the Last Olympian. Percy Jackson and the Greek Gods. Percy Jackson and the Greek Heroes. Percy Jackson and Kane Chronicles Adventure. Demigods and Magicians: The Son of Sobek. Staff of Serapis and the Crown of Ptolemy. Hotel Valhalla: Guide to the Norse Worlds. The Trials of Apollo Series.